Spring has almost sprung, so it’s time to get your warm weather wardrobe in check. Stocking your closet with some of the basics is all too important for having a stress-free and care-free season. From tees to tanks to flats, we’ve compiled a few items that you might want to consider adding to your closet in order to beat the heat. Check out our suggestions below and get inspired for spring! A beautiful and versatile tank is at the top of our list of basics for spring, and over at Woman Within they’re loving this surplice tunic with a beautiful casual chic look that will pair perfectly with all of your jeans and capris. The faux wrap front style is flattering for a variety of shapes and sizes and will keep you cool when the weather warms up. Feel like the diva you are by dressing up this tunic tank top with your favorite jewelry and accessories like necklaces, bangles, oversized sunhats, and sunglasses. 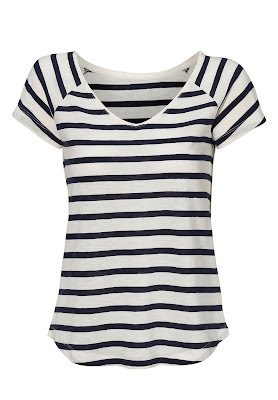 Short sleeve white and short sleeve black tees are always in style, as noted by according to Real Simple, so why not combine the best of both worlds with this fabulous black and white striped T-shirt. It’s tailored in all the right places and will add a touch of modern style and interest to your springtime outfits. Wear this with solid colored bottoms or pair with neutrals and use bright, fun jewelry to infuse a pop of color. A neutral cardigan to keep you cool on those chilly nights or inside the office is a definite staple for spring. We adore this particular piece for its breathable stitch, ¾ sleeve design, and ample length. The thin band around the neck and opening gives it substance, while the crocheted look really epitomizes the lightness of spring. Pair this with tanks, dresses, jeans, slacks, flats, or sandals, and wear it belted or open. This is a truly versatile cardigan that can be worn many different ways. Spring is almost here, which means it’s time to pull out those capris to beat the heat. 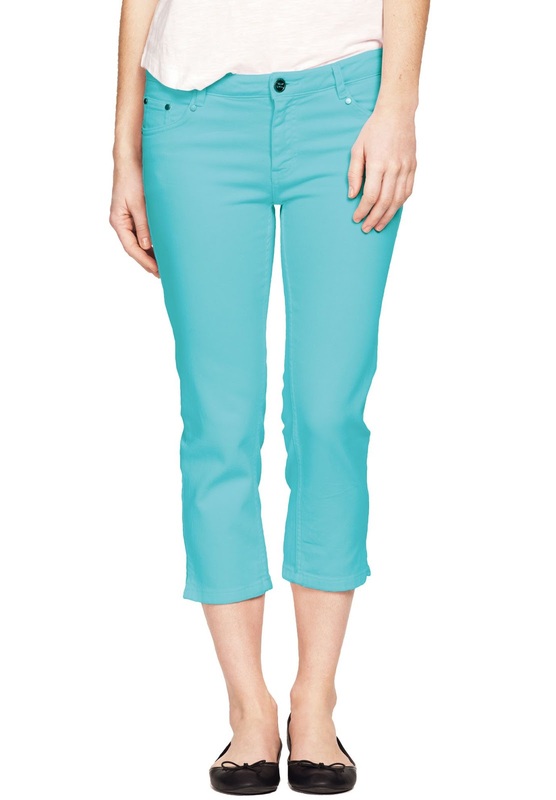 Stay cool in these 5-pocket stretch capris by Ellos in a beautiful blue hue that’s reminiscent of the sea. These would look great mixed with other colors for a bold look, or with neutrals, like white, for a clean, crisp, and refreshing ensemble. Pair these capris with flats, wedges, or sandals for a great bottom you can wear all through the spring and summer months. Pointed toe skimmers are near the top of Glamour’s must-have spring 2016 compilation, so we’ve chosen these whimsical, offbeat flats by J. Renee for their unique approach to the typical warm weather shoe. We’re loving the mesh sides for breathability and the pop art-inspired pattern will look great paired with colorful skinny jeans, shorts, and rompers. Definitely give these a try for a cute, bold, and compliment-garnering pair of kicks. We hope you’ve enjoyed our top five selections for a stellar spring wardrobe. Other items to consider are a great fitting dress, a pair of cute wedges, a skirt, and a pair or two of shorts to really round out your wardrobe. Remember to have fun with accessories, and take a chance every now and then. It’s easier to pull off trends than you might think, especially since confidence is key. This guest post was written by Charlotte Thompson.